Tax compliance is a two way street. We trust that our friends, neighbours and business partners are honest and committed to paying their fair share. Instead, in the spirit of "penny-wise, pound-foolish," the government has cut the CRA more than any other department. The result is that the CRA now lacks the highly trained staff to handle complex cases. Wealthy Canadians know their chances of getting caught are small. There is a double standard when it comes to paying taxes in Canada. And the Canada Revenue Agency makes it worse with each passing year. Take the recent news story about Irwin Rodier, the Montreal doctor with accounts at the Swiss branch of HSBC. Leaked data showed that he had hidden money in the account and that he went to extraordinary, almost "paranoid," efforts to keep it a secret. He did not report this money in his tax returns nor did he pay taxes on it. That is against the law. His penalty? None. Because he took advantage of the "Voluntary Disclosure Program" he was just required to pay back taxes and interest on the previously undeclared money. No fines. No jail time. Case closed. Tax compliance is a two way street. We trust that our friends, neighbours and business partners are honest and committed to paying their fair share. But governments have a responsibility to set certain standards -- hiring and training auditors, implementing modern systems and bearing down on difficult cases. Instead, in the spirit of 'penny-wise, pound-foolish', the government has cut the CRA more than any other department. The result is that the CRA now lacks the highly trained staff to handle complex cases. Wealthy Canadians know their chances of getting caught are small. They also know that if there is a whistleblower or data leak, there will be a lengthy grace period where they can report those assets. And like Dr. Rodier, they pay no penalty and suffer no consequence. The current Prime Minister has declared all taxes to be bad taxes. And perhaps it is because he doesn't believe government has a role in the lives of Canadians that he is cavalier with the agency that brings in revenue for health care, infrastructure, education and more. Ideology aside, failure to collect money that you are owed is simply bad fiscal stewardship. And it is patently unfair to the majority of Canadians who dutifully pay all of their taxes. That view was shared in focus groups set up for the government by the Walker Consulting Group. Tax professionals who took part "raised questions about the resources dedicated to those larger players who put money in offshore tax havens, versus smaller players who claim a few too many dollars in charitable donations." Late last year, we reported on the story of Arne Sorbo, an elderly accountant who had forgotten to report a small amount of pension income. For nearly a year, his encounters with the CRA were characterized by disrespect and suspicion until his case was made public. In contrast to Mr. Sorbo, large corporations and wealthy Canadians are respectfully asked to settle, if they are pursued at all. Back in 2010, an internal audit of the tax enforcement program, based partly on interviews with CRA staff, discovered a tendency to pursue "smaller cases that represent 'quick hits,' " rather than complex and time consuming tax-evasion cases. 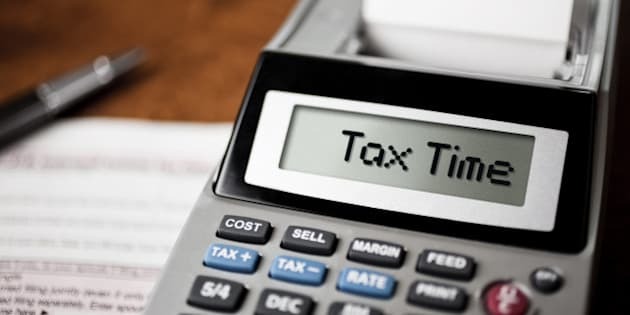 "The Canadian experience with respect to enforcement in terms of tax evasion and offshore accounts has been dismal," David Chodikoff, a Toronto tax lawyer who used to work for the federal government told Maclean's last year. And when we contacted him this week he boiled it down to a lack of "political will." Political will was supposedly in evidence back in 2008 when Conservative Finance Minister Jim Flaherty announced a "Tax Fairness Plan for Canadians." He spoke of restoring balance and fairness to the Canadian tax system. Apart from a few inadequate measures to counter tax havens, what has happened since then clearly flies in the face of those words. These days the emphasis is on tax cuts such as Income Splitting that benefit the rich. Meanwhile, the CRA's lopsided enforcement efforts target small time tax cheats, or even those who just make a tax filing mistake. Big time tax evaders get a wide berth. That may be easier for the CRA but it is unfair. It's time to fix this mess before Canadians lose faith in our tax system.